Happy New Year! What, it’s still January isn’t it? Here in Greece we say Happy New Year till February! I hope 2014 turns out to be the year we’ve all been waiting for. 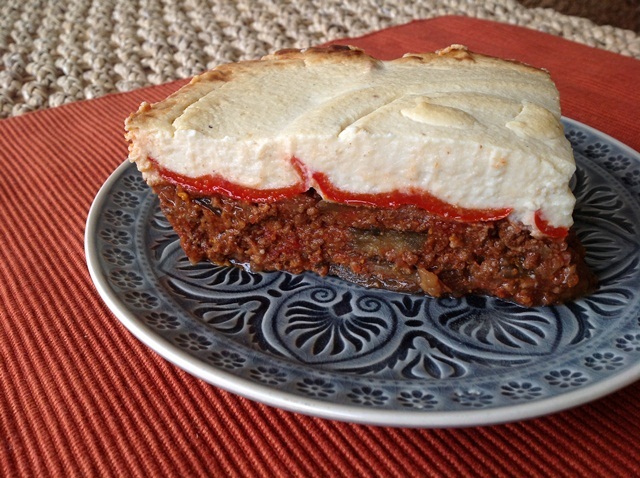 I posted this recipe on The Foodie Corner a while ago, and it was the first recipe of the new year there too. 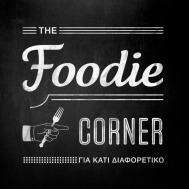 I thought it was appropriate as it sort of represents a few of my goals for my Greek blog. 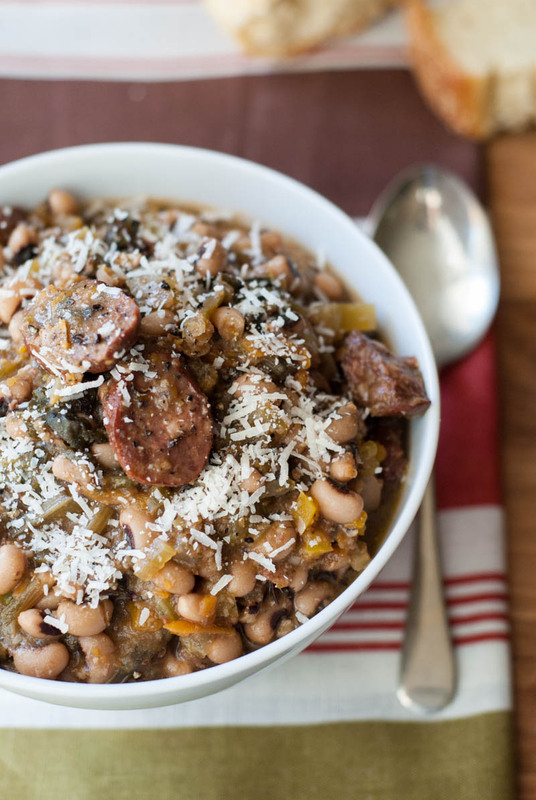 Plus it’s got black eyed beans and greens in it, which are reminiscent of Hoppin’ John – a good luck dish eaten in the States. What better for a New Year’s recipe? 1. Healthy. 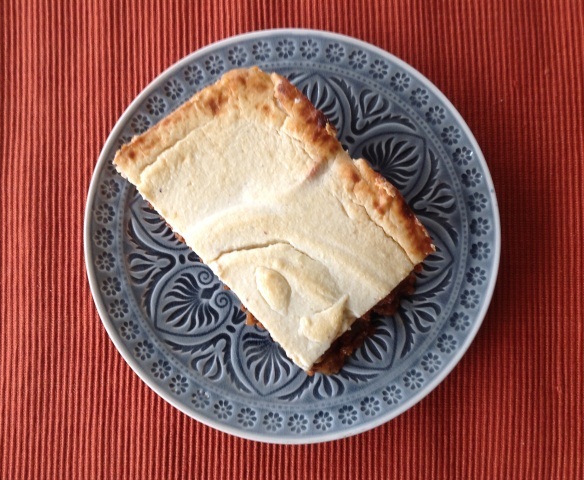 I want to post more healthy recipes (you know, in amongst the chocolate cakes and baked brie). 2. Tasty but also frugal. Planning my food shopping, economising and avoiding waste; all happening in 2014. 3. The recipe is my own. I opened the fridge and let my imagination get a work out (I literally just put whatever I found, in the soup). I like that and want to do more of it. 4. It’s a slow cooker recipe. My slow cookers are going to be getting even more use this year. 5. Did I mention the black eyed beans and greens? Green as in the color of dollars? Yeah. Another goal. Preferably in euro but I won’t be picky. So here’s my lucky soup recipe. It’s one of the good ones, you know, plop it all in the slow cooker and do something else for the rest of the day! Enjoy! 1. Add all the ingredients apart from the last three (parmesan rind, salt and extra parmesan) to the slow cooker. Turn on low and cook for at least 10 hours, or till the soup is thickened and the beans are soft. 2. Midway add the parmesan rind. (I forgot and added it for the last hour. This was not enough. If you’re going to be away add it in the beginning). 3. Towards the end of cooking, taste the soup and add salt if needed. The sausage may be salty enough (it wasn’t for me). Also they say that salt doesn’t help dry beans to cook, so I thought it would be best added after they have softened. 4. If you want you can use an immersion blender to thicken the soup more. Just pulse once or twice. 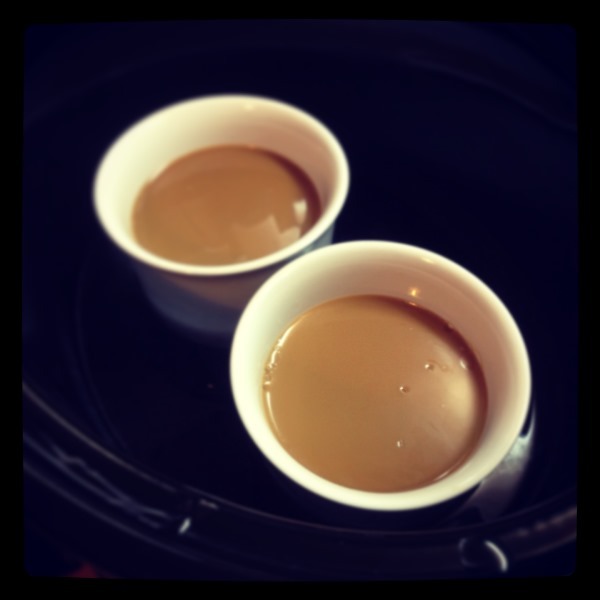 Or transfer one cup of soup to a blender, pulse, and return to the slow cooker and stir in. 5. Serve with grated parmesan. Feta might be a nice alternative too. The main recipe in this post hardly even merits the name “recipe”. It’s so easy and so simple. Roast beetroot in the slow cooker. I’m sure it’s been done before, but I haven’t researched it. So I can safely say it’s my idea! For as long as I can remember (or as long as it’s been on the blog) my most popular post is the Slow Cooker Jacket (Baked) Potato. I was pondering on this a few days ago, when the thought struck me. If you can just plop potatoes in there and bake to perfection, why can’t you do the same with beetroot? 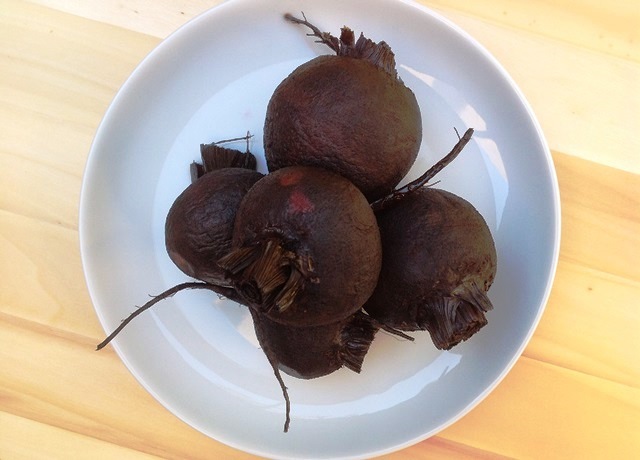 Many recipes call for roast beetroot, and the method they suggest is wrapping in foil and cooking in the oven for about an hour. Sound familiar? So instead of heating up the house and wasting loads of electricity, maybe it would be possible to use the mighty Crockpot for this. That was my reasoning. And I was right. As always. I used the method without tinfoil, as using all that foil is wasteful and totally unnecessary. Just a bit of olive oil, some salt and that’s it. After six and a half hours on low, mine were cooked to perfection. They might have been ready earlier but that’s when I checked. The skins just slipped off with a tiny bit of help from the side of a knife. Gorgeous. If you can get your hands on some organic beets then you can probably eat the skin as well. I tasted a bit and it was not bad at all. Can I just say here that I have absolutely nothing against the vacuum packed cooked beetroot from the supermarket. I have been buying this for ages (well, for the few years since I discovered I actually like beetroot). However, here in Greece you can easily find huge bunches of fresh beetroot, greens and all. This is even cheaper than the packaged version (which is not expensive) and the greens are really tasty in my Beet Green and Red Pepper Frittata. Now that cooking the actual beetroot has become so easy, I might be opting for the fresh more frequently. And if I can’t be bothered with using up the greens, the horses at my riding club will be very very appreciative! 1. Cut the greens from your beetroot, leaving a bit of the stalks intact (about 2cm or an inch). Leave the tails intact. This is so that the beetroot doesn’t “bleed” while cooking. Wash them well, rubbing any dirt off but being careful not to break the skin. Dry with kitchen paper. 2. Using your hands, rub each beetroot with a bit of oil, and a little salt (don’t use too much salt as it is absorbed quite well). 3. Put into the slow cooker insert, cover, and cook on low for 6-8 hours. 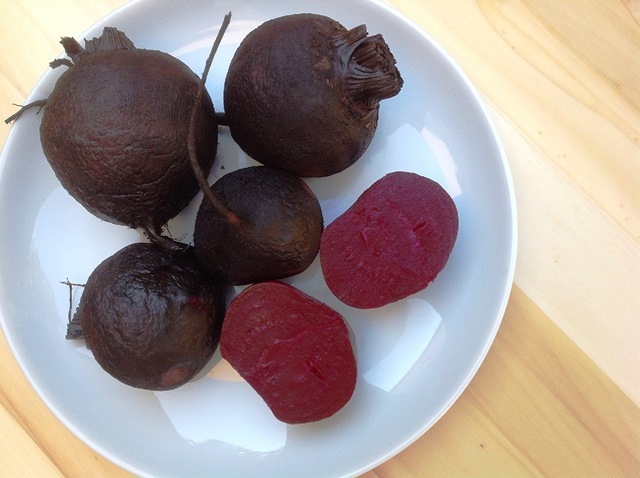 Time largely depends on quantity and size of beetroot. They are ready when easily pierced by a knife. Makes enough for one big main course salad, or two side salads. 1. Put lentils in a small saucepan with the (whole) onion and bay leaf. Bring to a boil, add salt and simmer for 15-20 minutes till soft but not mushy. 2. Drain and set aside to cool. Throw away the onion and bay leaf. 3. 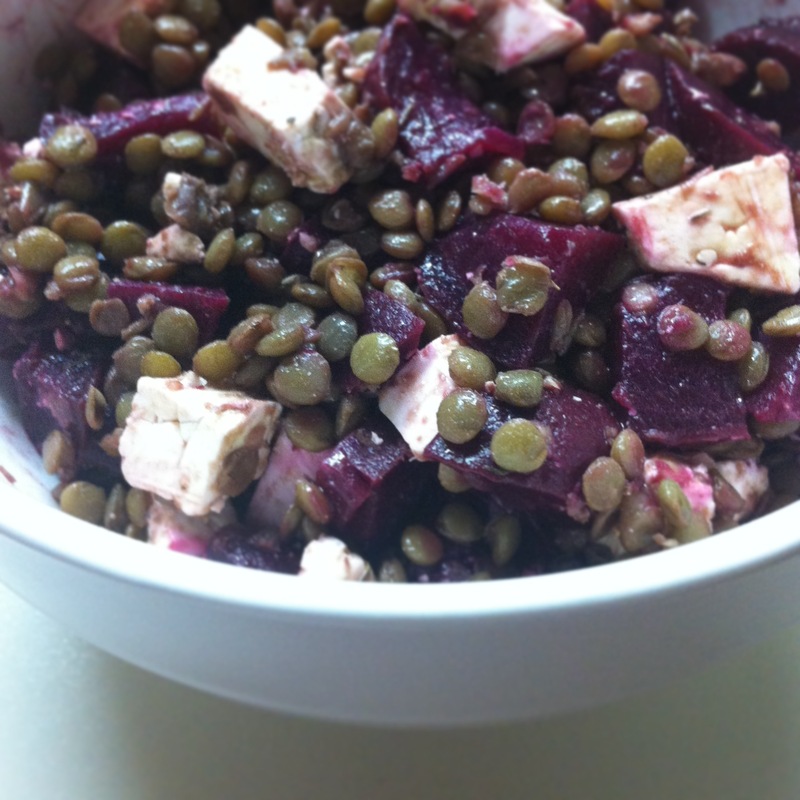 Add the beetroot and feta to a salad bowl. When the lentils have cooled add those too. Dress the salad with the oil, vinegar and thyme and season with pepper and salt if needed. Note: This is a basic, quick and easy recipe. You can mix and match as you like, using any ingredient you fancy! Next time I will definitely try adding tuna, or maybe smoked trout. So I’ve cooked them. What do I do with them? 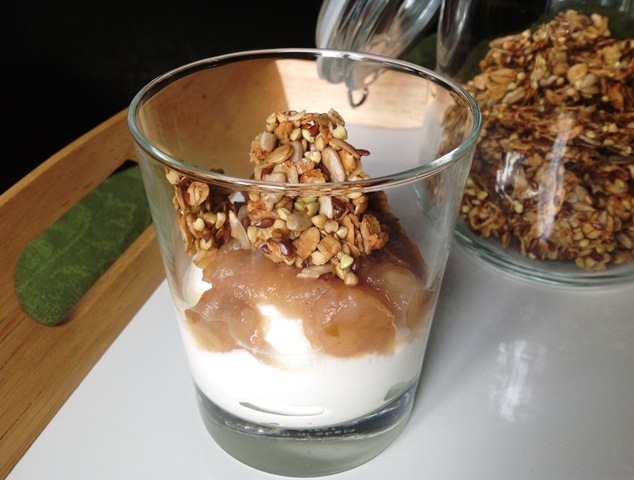 Greek yogurt and applesauce topped with crunchy granola. It’s currently 8:00am and I’m at the bus stop waiting for my bus (and furiously scribbling on my notebook). I’m on my way to work you see. Oops, I’m now on the bus. I’ve been feeling really bad about falling behind with my posts, but I’ve had quite a bit going on lately which has been stressing me out. And blogging is supposed to be a fun hobby isn’t it? At least at my level! So I decided to stop beating myself up about it and do what I can when I can. 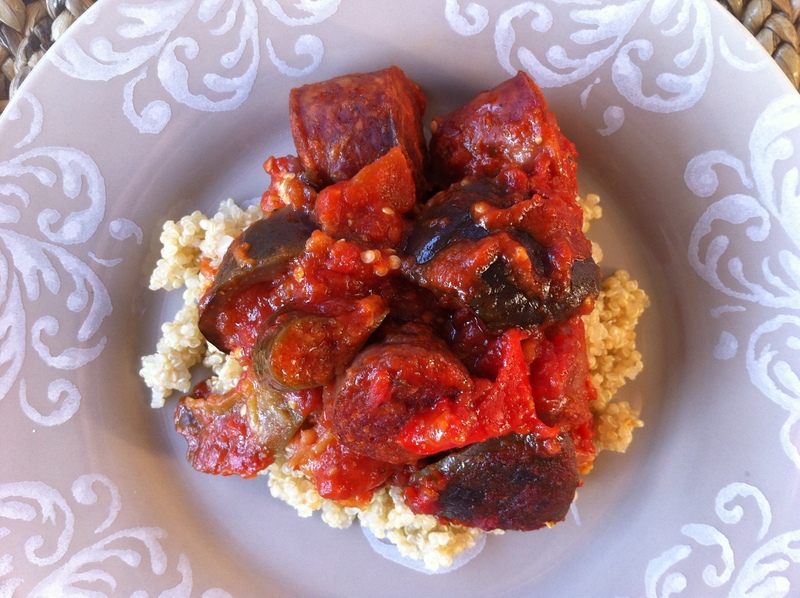 This is my intro to a very quick post and an even quicker recipe! Despite all my “goings on” I still spend a lot of time in the kitchen, and couldn’t help but jump on the seasonal bandwagon. That means recipes with apples and pumpkin! Seasons are slightly different here in Greece, I mean we had pumpkins all through the summer, but when you read blogs from the US all the time, you get carried away by the beautiful descriptions and transferred into their atmosphere. So even though we’ve had 30oC degrees heat this week (that’s 86oF), I’m thinking applesauce, soup, hot chocolate and so on. I did do a little experiment to try and combine the two worlds, but more about that another time (after I know it was successful!). Aaand I’ve now reached the metro station, next train in 2 minutes. So, applesauce. What a gorgeous, versatile, adaptable concoction. It especially goes with the granola I talked about here and here; in fact all granolas or even porridge can benefit from a spoonful of applesauce dolloped on top. Add a little Greek yogurt and… perfect breakfast or snack. It also goes well with ham or turkey in a sandwich. Or with cheese. As I said, versatile. On the train now, so glad you can’t see my handwriting. 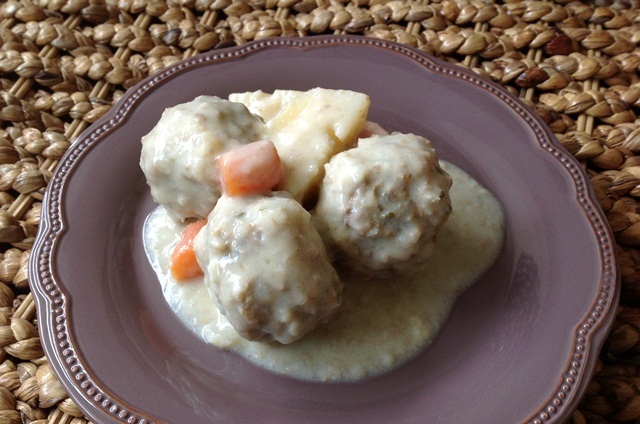 I saw this recipe by Cookin’ Canuck on Slow Cooker from Scratch, where there is a great round up of applesauce variations. 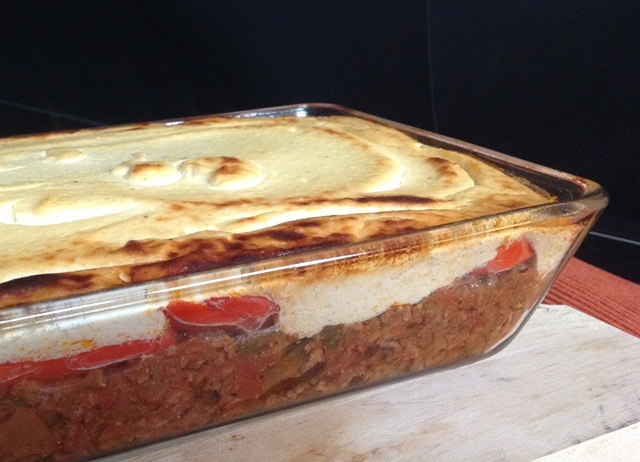 It’s quick to prepare, has few ingredients and tastes lovely. A winner in my book! I made a much smaller batch because I only had two apples and The Mister doesn’t really eat much applesauce anyway. 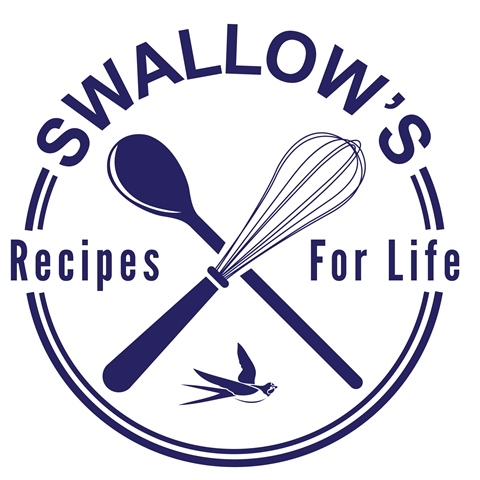 Check out the original here, as well as all the other recipes on the Slow Cooker from Scratch round up here. Hey, thanks for keeping me company on my morning journey! Peel, core and chop the apples into large pieces. I only peeled one of them because I got impatient and I don’t mind the skin, it gets soft anyway. Do the same with the pears. If their skin is tough (it can be sometimes) don’t leave any on. Pop them all into the slow cooker and sprinkle the spices and sugar on top. Mix well. Add the water to the slow cooker, you can use less if you want, I wanted to coat the bottom of the stoneware but I don’t think there was any need to, the fruit releases lots of moisture. Cook on low for 6-8 hours or on high for 3-5. Cooking time depends on how hot your slow cooker gets, and how much fruit you use (the more the fruit, the longer it takes). Stir occasionally and break up with a spoon or fork. 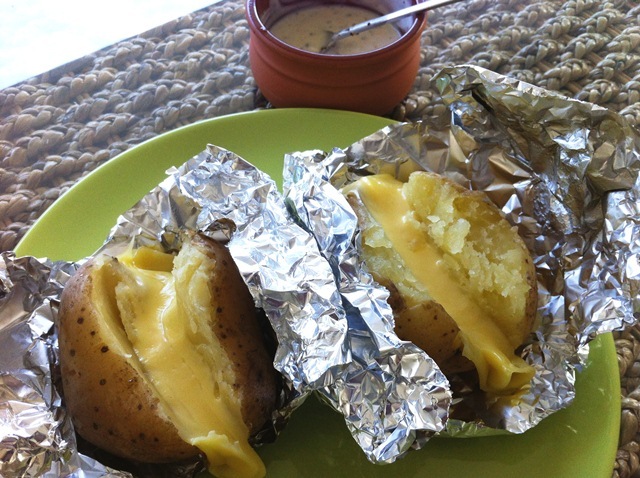 Slow Cooker Jacket (Baked) Potatoes – Best Idea Ever! As you may have noticed, I’m a bit obsessed with my slow cookers. I’m in love with the things. I can talk about them all day. Strangely enough, until recently I hadn’t got round to trying baked potatoes, even though I’d seen a number of blogs saying how great they are. Then finally I did, and thank goodness for that! I still can’t believe how good they are, and how easy it is to make them. The result was the same in terms of deliciousness although in the first case –and maybe this is my imagination- I thought I could detect a hint of tinny taste. Anyhow, the way I see it is if you get the same results, why waste loads of foil each time? I ate these with a topping of gouda cheese and a quick yogurt based sauce as an alternative to sour cream (which is sadly not available in Greece). 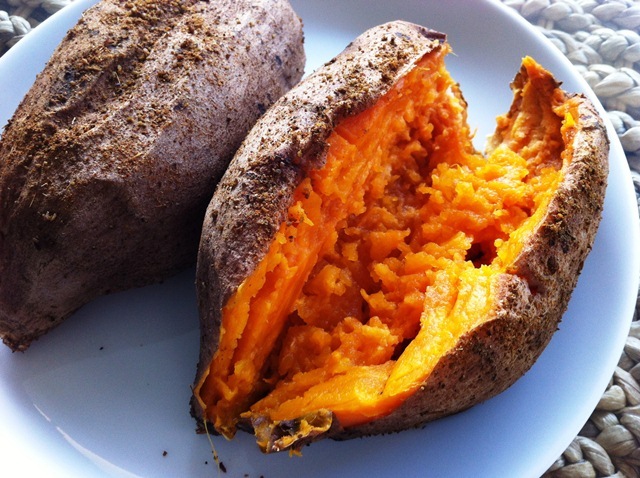 A few days later I saw a couple of sweet potatoes beckoning to me from the supermarket crate. Yup, you guessed it. Into my CrockPot they went. Washed, scrubbed, oiled and spiced. 5 hours later, gorgeously soft and squishy, my baked sweet potatoes were ready. I followed Stephanie O’Dea’s idea (O’Dea’s idea! Sorry, sorry, I’ll stop) for these, and I must say that squirting some lime juice on these babies is the right way to go. It really balances out the rich sweetness. The next day I had a throw-it-together lunch of sweet potato (scooped out of the skin) with leftover roast chicken pieces. Lime juice over the top, freshly cracked black pepper, salt… and voila, a seriously yummy (and healthy) meal. 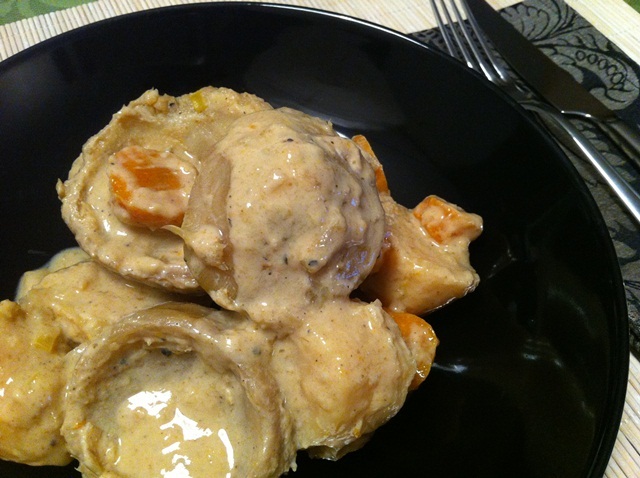 If you have a slow cooker you really need to make jacket potatoes in it. Wash the potatoes very well, scrubbing if necessary, but don’t scrub off the skin! Dry them with kitchen paper. Put some salt or the spices in a little bowl (don’t wait till your hands are oily, it’s messy!). Rub some oil between your hands and then rub the potatoes so that they get lightly coated. 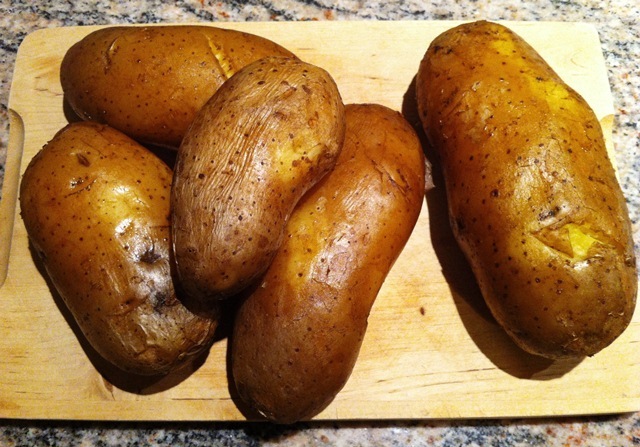 Take some salt or spices from the bowl and rub them on the potatoes too. Stick the potatoes in the slow cooker (you can stack them – mine came up to the top!). A good idea if they aren’t too long is to put them in vertically (“standing up”). I had one long one that didn’t fit so they went in horizontally and it was fine. Sprinkle any remaining salt/spices over the potatoes, cover and cook on low for 8 hours or high for 4-5. If you only have a few (the first time I did only two) they might be ready earlier (approx. 3 hours on high), so try them by sticking a fork in to see if they’re soft. My sweet potatoes (again only two) were definitely ready before the 5 hours on high, I’d just forgotten about them. No harm done though, they were just really soft inside. If you find yourself with oily salty hands, before washing them rub them together, massaging the backs and cuticles. It’s fab for exfoliating and leaving beautifully soft mitts. Slather with hand cream afterwards. And another trick; for getting oil off your hands more easily, rub soap or washing up liquid on before you wet them. It won’t lather until you do, but oil and grease washes off much better this way. When ready, cut the potatoes lengthwise and top with your favourite toppings. Butter, cheese, crumbled bacon, cheese, sour cream, chives, cheese, baked beans, chili con carne, cheese… anything! For the sweet potatoes squeeze some lime juice, it really suits them. Note: to be honest, I’m not sure how much of the spice actually penetrated the skin of the sweet potatoes and gave it taste. However I didn’t prick them before cooking, so maybe that had something to do with it. Next time I’ll try it.